In the 1990s, Michael Davidson used a high-powered microscope at the Florida State Research Foundation to photograph your favorite beverages and cocktails. Who knew that alcohol could be so incredibly beautiful? We have been assured that the images have not been retouched and the crystallized drinks on the microscope slides haven't been dyed, which we admit is a little unbelievable, considering the vivid colors of the images below. It's all in the cross-polarized light microscope, which refracts light through the crystal, creating a mixture of gorgeous colors. 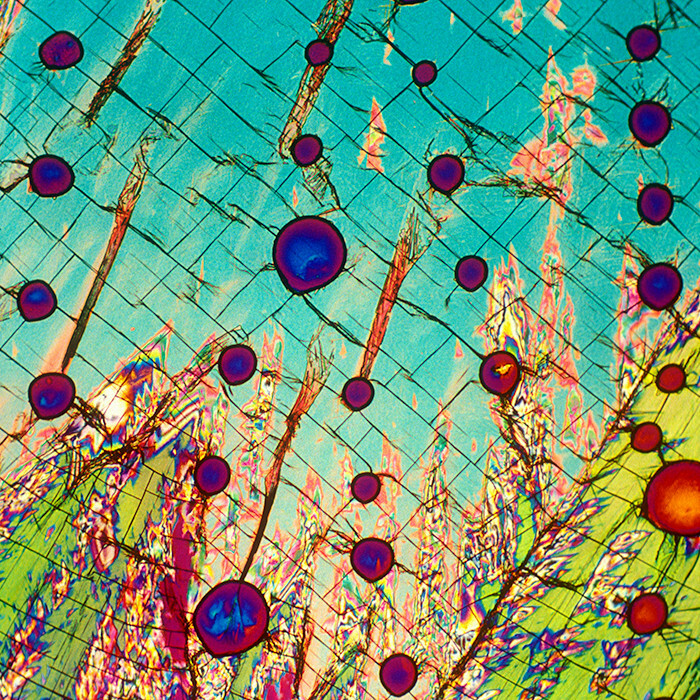 Photograph of Iced Tea as viewed under a microscope, by Michael Davidson, courtesy of www.bevshots.com. Copyright 2012. You can enjoy the beauty of alcohol without the hangover in the comfort of your own home now that Bevshots has licensed all of Davidson's images for use in an affordable artwork series. It's probably a bit cheesy to have a giant "It's 5 O' Clock Somewhere" banner, but imagine how one of these images could spruce up your place. 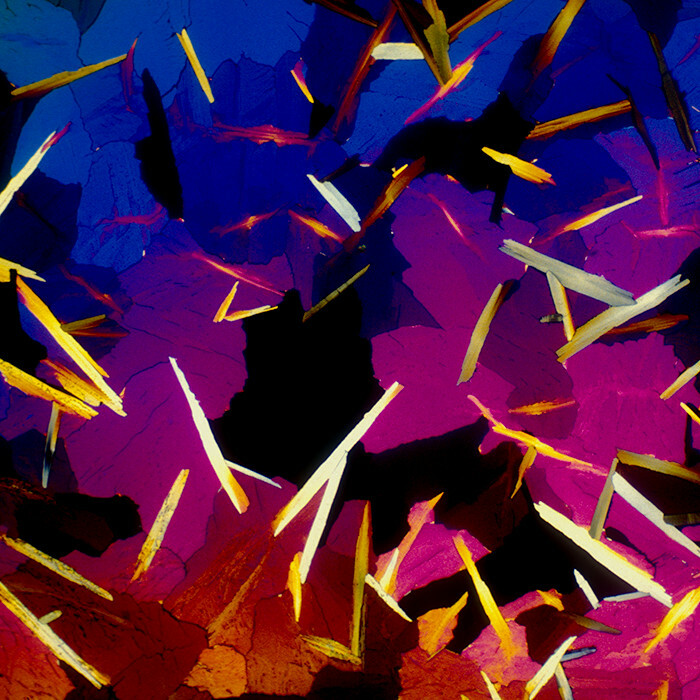 Photograph of Vodka as viewed under a microscope, by Michael Davidson, courtesy of www.bevshots.com. Copyright 2012. The best part is no one will even know you are paying tribute to your drink of choice. There's the tropical hues of the margarita or maybe the mind-bending Belgian Lambic is more your style. Don't like the hard stuff? They also have images of iced tea and cola that are equally as stunning. So, what do you say? Is it time for a boozy interior makeover? No matter how buzzed you may be putting that English Oatmeal Stout up on the wall, it will still make for a cool and unexpected addition to your home or apartment. View the slideshow below and tell us what you think of the idea in the comments section. Photograph of a Belgian Lambic as viewed under a microscope, by Michael Davidson, courtesy of <a href="http://www.bevshots.com" target="_hplink">www.bevshots.com</a>. Copyright 2012. Michael W. Davidson and Florida State University Research Foundation, Inc. All rights reserved.